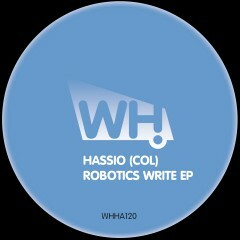 Hassio (COL) is creating a well-deserved buzz in clubland right now proved by signings to a string of high profile labels including Little Helpers, Antura Records, Witty Tunes, Frequenza and Pild Records. Now he is back with his second EP on What Happens and showcases the underground sound of Medellin. Three tracks destined to inspire the DJs, the crowds and listeners in unison.